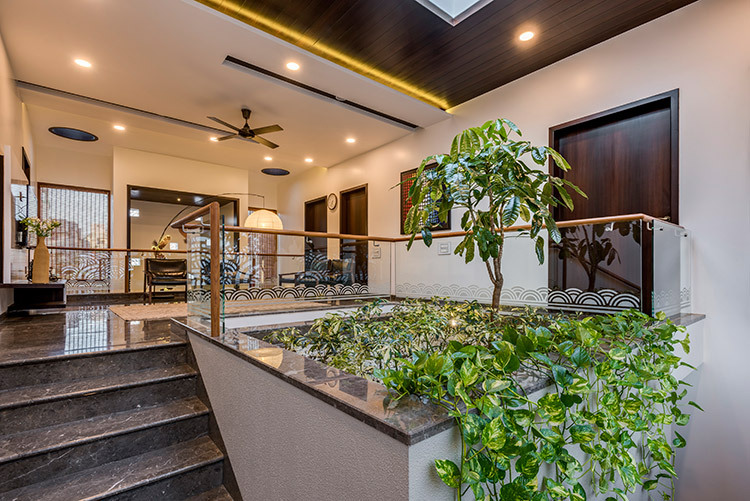 ‘Anubhuti’ the residence for the Patil family was designed as a spacious home with ample natural ventilation and light, using natural materials and incorporating Vaastu principles. Taking the theme forward the landscape response is such that the visual and physical experience of the spaces is carried outside the built spaces as well. 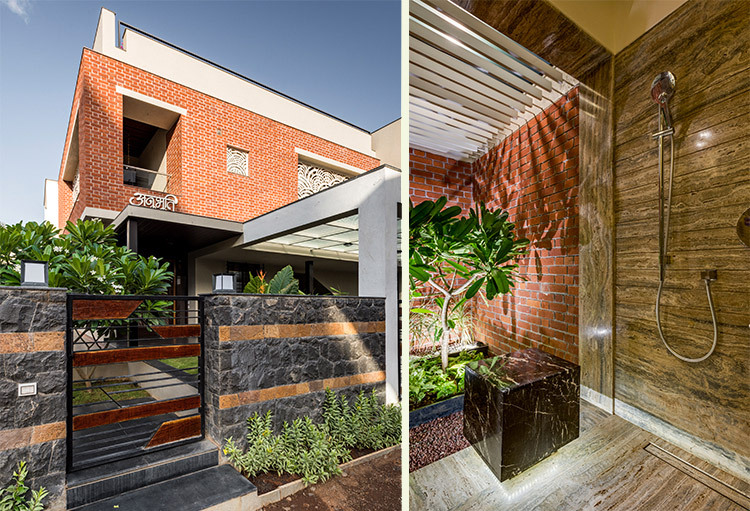 Landscape pockets and greenery are woven in the plan such that the house is in sync with nature. 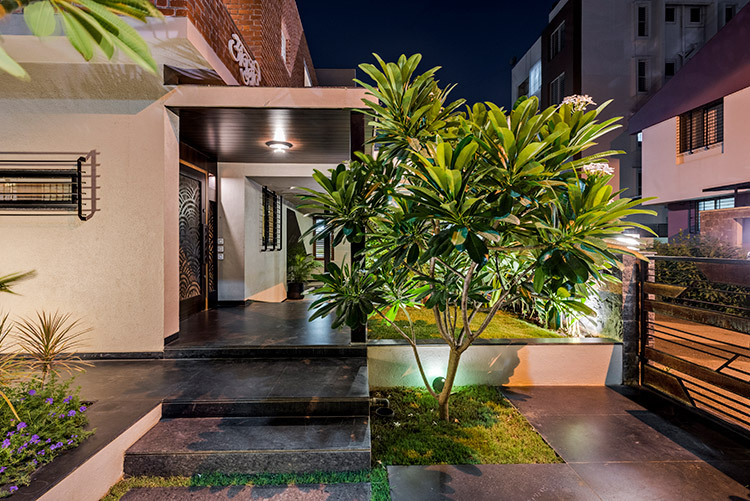 The master bedroom has a private landscaped court that doubles up as a yoga area. 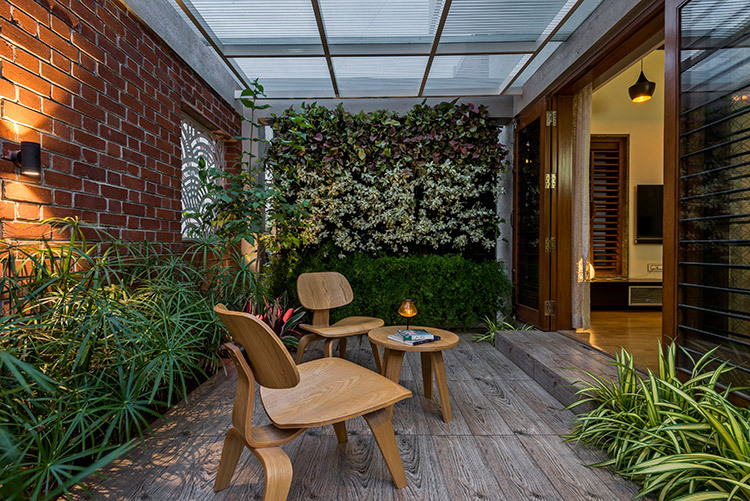 The bathroom has a court with plants and a stone seat. 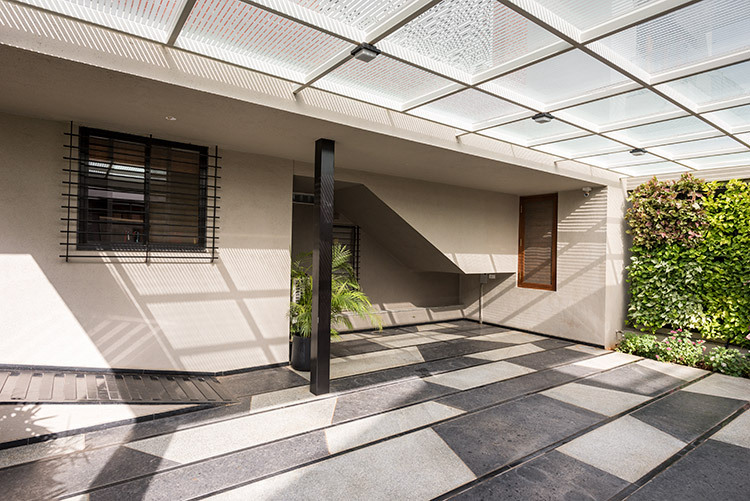 The Northeast corner of the plot has the water feature wall that is seen from the living space. 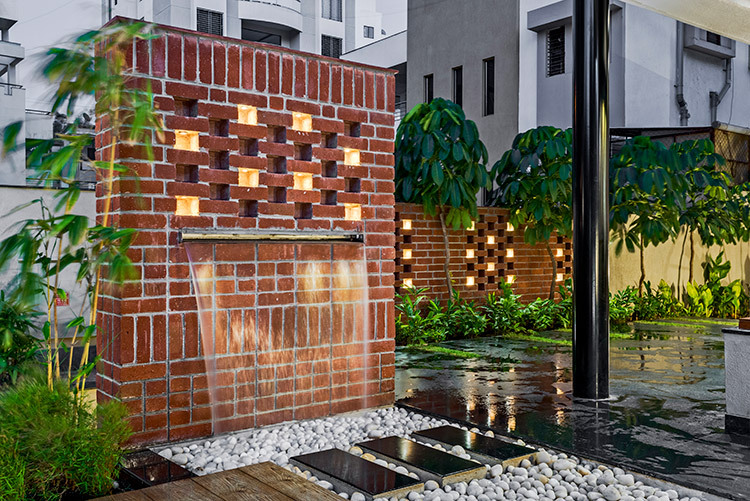 Designed with exposed bricks set in patterns and embedded with lights, it brings a soothing element to the residence. Water flows into the shallow waterbody that is filled with pebbles.